Sponsored by Think Lightweight Corp. 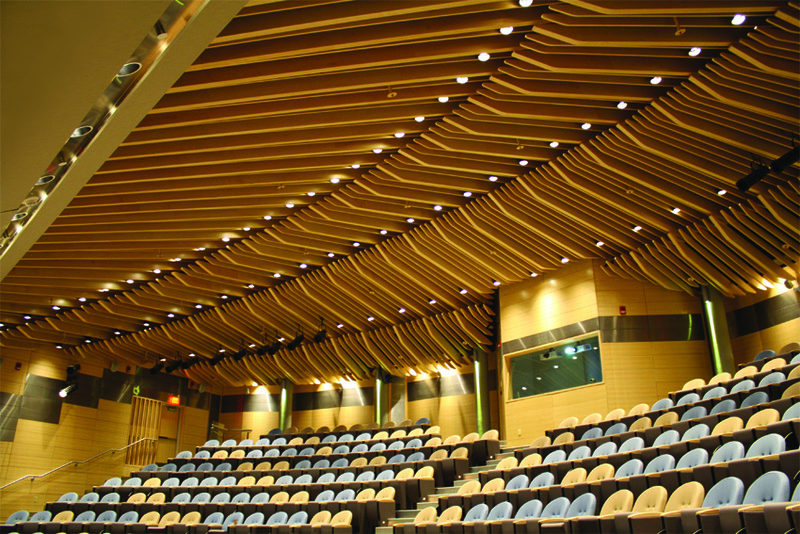 Describe what lightweight panels are and how they are specified by architects and designers. Explain how lightweight panels have evolved over time to be lighter, larger, and more customizable. Discuss the different materials used to create lightweight panels. List the distinct advantages to specifying lightweight panel technology. Lightweight engineered wood panels have long been a staple for architects and designers looking to create interesting and contemporary interior designs. Although prized for their consistency in look and ease of installation, historically, lightweight panels have three main challenges that have kept them from more frequent use. Lightweight panels have been difficult to specify and procure, limiting architects’ and designers’ ability to creatively use the product. Lightweight panels have been too costly to be a viable solution to meet architectural design requirements due to inefficient lightweight panel manufacturing processes. Lightweight panels have not had the engineering support behind them to complete a full package, including fastening, hardware, and installation. Fortunately for architects and designers, many of these challenges have been addressed by lightweight customizable panel technology. New panel styles and types offer a wide range of materials, expanded sizes, and fastener technologies. However, before specifying lightweight engineered wood panels, it is important that the architect and designer have the knowledge to choose the right lightweight panel type for the project. Photo courtesy of Think Lightweight Corp.
At Think Lightweight, our focus and passion is applying lightweight engineering principles to traditional solid wood applications. Our goal is to replace heavier, harder wood material products with lightweight, more adaptable, and stronger hollowcore panel solutions.